Creating a Filter in Revit is pretty straight forward. Once you’ve “Filtered” down to what you need to select you can Save this filter to reuse again which will speed up time while your modelling, you can then edit the filter to add/remove elements or even delete the filter set. You can also use you saved filter in the “Filter tab” in the Visibility Graphic overrides to quickly override colours, line weights etc. 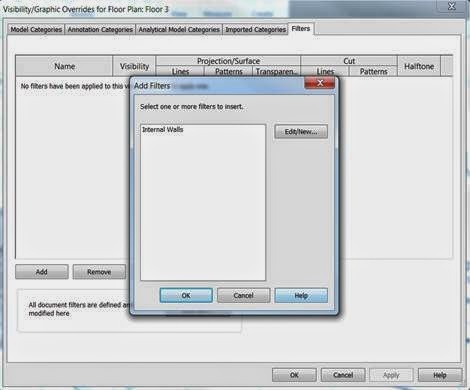 In the Visibility Graphic Overrides dialog box in the Filter tab select Add and select your saved filter you can then change the setting as needed.